Nintendo to discontinue the Wii U – was the console a failure? Despite being loved by quite a few passionate fans during its years in the market, it seems the Wii U’s days are now coming to an end. Actually, Nintendo recently stated that “we encourage anyone who wants Wii U to communicate with their preferred retail outlet to monitor availability”. Meanwhile, on Nintendo’s official Japanese website the company now states that production will be ending soon for certain Wii U variants as reported on Kotaku, while others have already been discontinued. So this is likely the end of the line for Nintendo’s ill-fated Wii U, a console that managed to delight some while being a bitter disappointment for others. Because even though the Wii U had some superb games released for it over the years, like the delightful Splatoon and 2015’s superb Mario Maker, other aspects of the console like its controller, underpowered hardware and lack of third party support turned out to be disappointing. Actually, the Wii U’s controller with its fancy touchscreen was Nintendo’s first attempt to bring traditional living room consoles and handhelds together (something it’s actually doing for real with their upcoming Nintendo Switch). 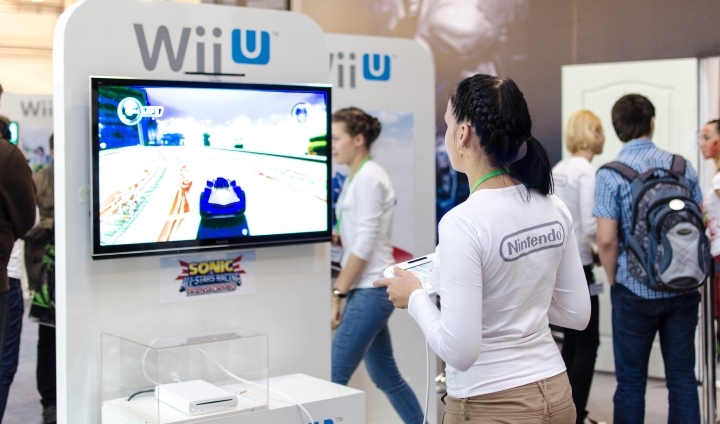 The Wii U controller’s touchscreen allowed game creators to display part of the game on said screen (such as inventory screens) and was a great idea in practice, but ended up being relegated to gimmick status as new games built with the touchscreen in mind like Star Fox Zero did not turn out to be so great. Also, the fact that the Wii U was barely more powerful than the old Xbox 360 or PS3 when it launched back in 2012 did not help matters one bit, as this discouraged third parties like Activision or Ubisoft from bringing their games to Nintendo’s system, meaning we never saw the likes of Call of Duty or Watch Dogs on the Wii U. In many ways then, the Wii U tanked as a new-gen system, selling little more than 10 million units (which pales in comparison to the original Wii’s 100 million), even if Nintendo’s console might still make a classy exit. This is because the Japanese company’s flagship game The Legend of Zelda: Breath of the Wild will also be released for the Wii U, as well as for their new Nintendo Switch console, meaning that Wii U’s owners will at least get one last (hopefully) great game before Nitnendo finally removes the Wii U from the console market this year.